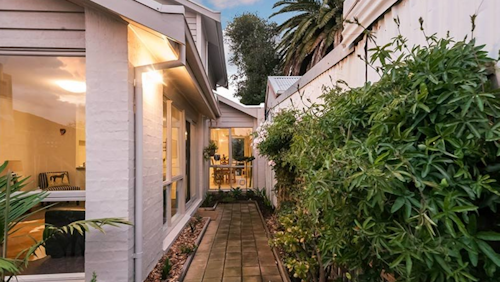 When I first inspected 1/1 Queen Street in Footscray four weeks ago, I was impressed with the light filled interior, the generously sized courtyard and the options the dated townhouse offered its next owner. I did think that the price, which was quoted in the $400,000s, wouldn’t be all that representative of the result on auction day. In fact I thought the property might have been worth around $530,000. To my surprise, the market responded even more favourably, and the result on Saturday was a thrilling one for the vendors, who kept the property beautifully presented throughout the campaign. 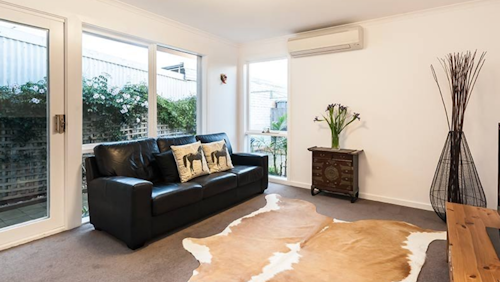 What was it about this two bedroom 1980s townhouse that gripped seven bidders and had five of them fighting it out above $550,000? Quite a lot apparently. I don’t think it was only the townhouse that drew the crowd. A lot can be said about Footscray’s growing popularity and gentrification, and the age range of the bidders on Saturday was testament to this. Once a stigmatised, avoided area, Footscray is now top of mind for so many who like Melbourne’s inner west cosmopolitan lifestyle. Footscray boasts one of the best value fresh food markets in Melbourne and offers an endless array of great dumpling shops and multicultural food; from African to Vietnamese to modern Australian. It’s hard to go longing for good food in this foodie hotspot. The gentrification effort is very obvious – pubs are being overhauled and food critics are giving great ratings. A recent meal at The Plough Hotel on Barkly Street didn’t disappoint, and for anyone who likes a great coffee, The Milking Station is so popular it’s tough to get a table on a weekend. With its two train stations and trams for those who rely on public transport, this rough diamond is well on its way to surprising us all. 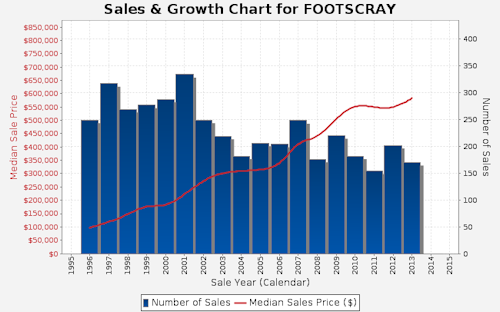 I think Footscray will place itself firmly on the list of suburbs with stellar growth for 2014. The buyers at Queen Street shared some of my sentiments. As auctioneer Adam Welling reminded the crowd, we were moments from the city yet almost hidden away in this little dead-end street. The guys-with-no-ties at Village Real Estate worked the crowd. Bids were fast and furious from one buyer’s agent who later ran out of puff. Me on the other hand – I didn’t even get to put my hand up. 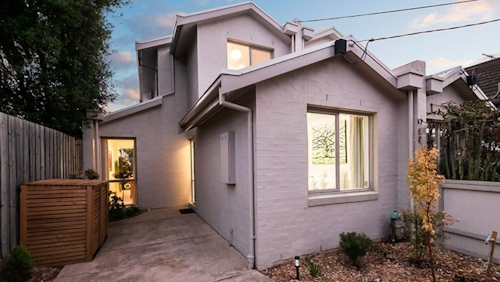 The owner-occupier appeal of this property drew in multiple strong bidders. The property was secured after a final, minor $500 bid, coming in at $592,000. This result had the agents smiling, and no doubt thrilled the vendors. As I’ve been saying to people for years, Footscray can’t stay stigmatised for ever!